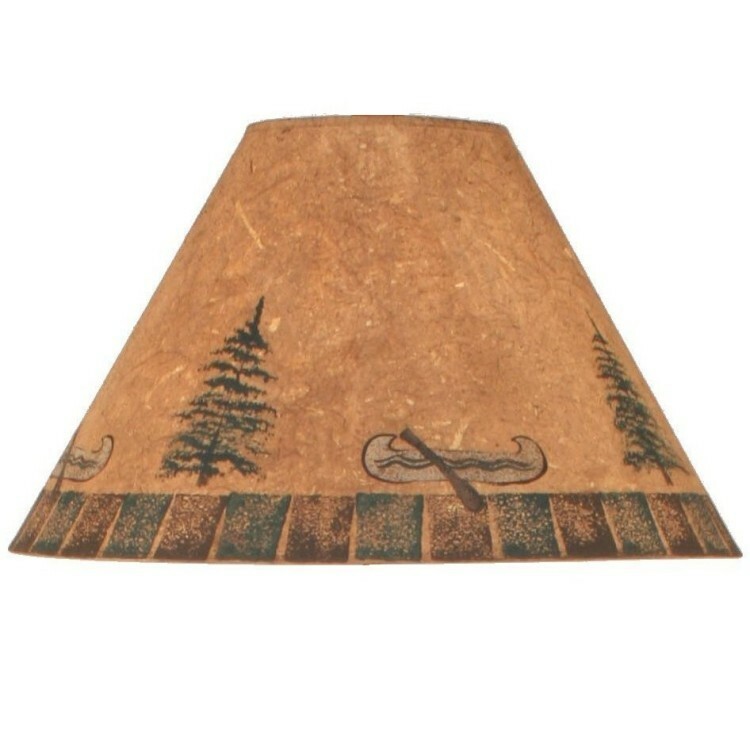 A parchment lamp shade has a vintage look and is hand painted with canoes and pine trees, it will add a rustic look to your rustic decor. Made in the USA. Please allow approx 7-10 days for shipping.